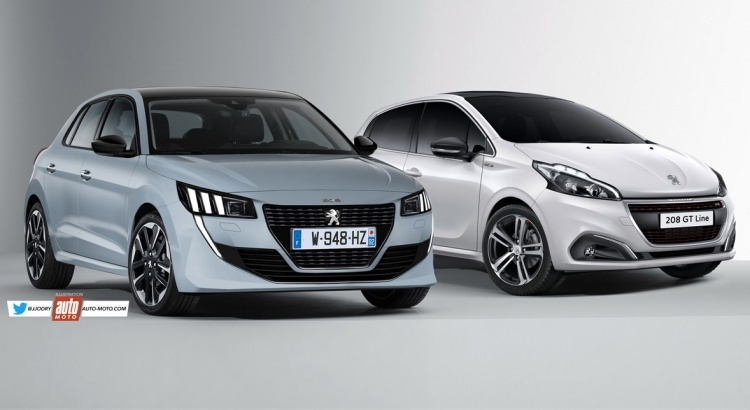 Peugeot aims to become the first carmaker to launch a mainstream supermini available with gasoline, diesel and all-electric powertrains. 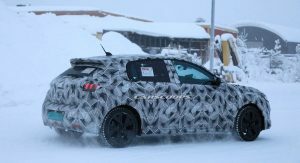 Yes, the all-new 208 promises to offer a comprehensive engine lineup when it debuts at the Geneva Motor Show in March. 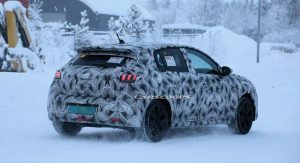 We’ve already seen spy shots of the regular 208 and the 208 GTi hot hatch but this is the first time the all-electric Peugeot 208 came out to play. 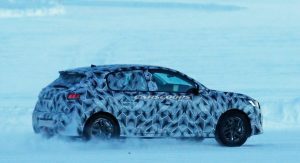 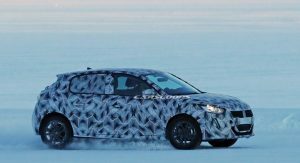 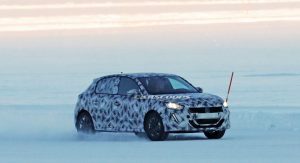 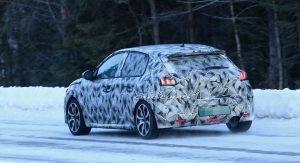 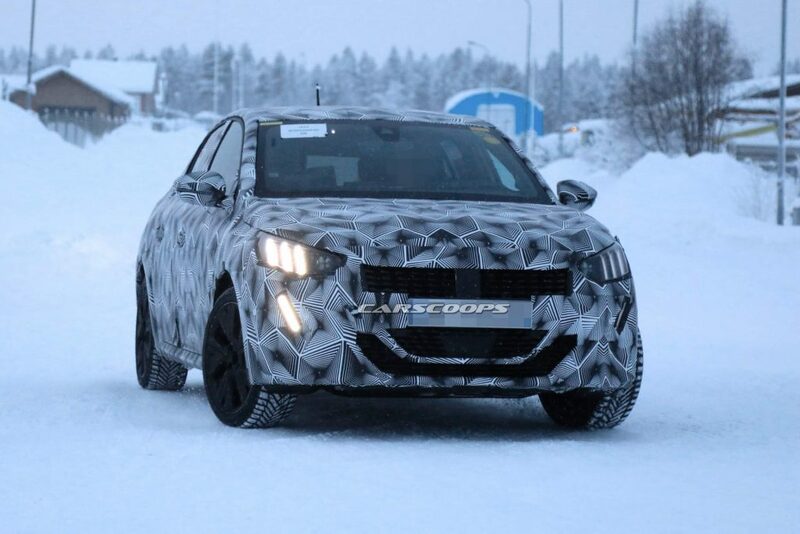 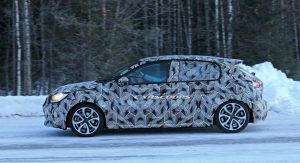 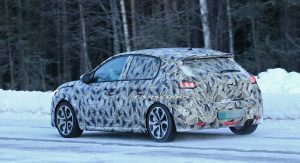 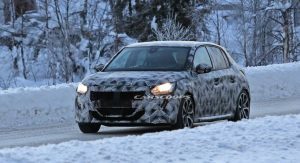 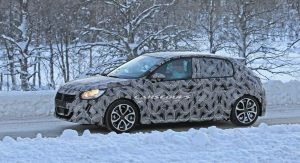 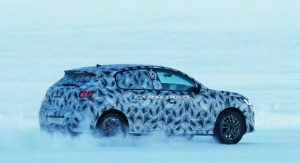 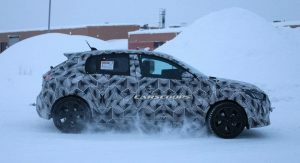 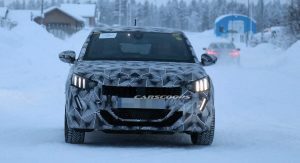 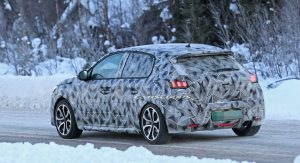 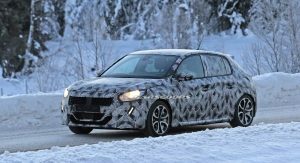 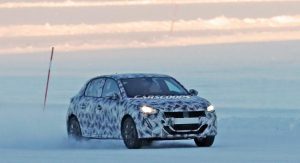 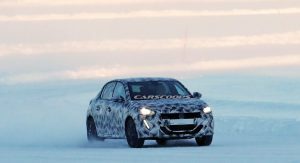 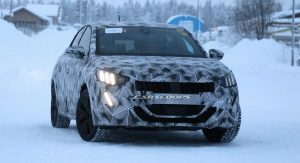 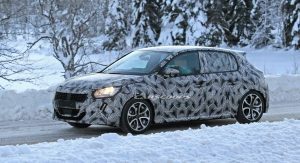 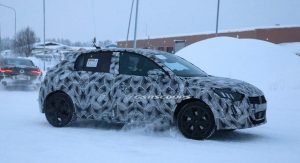 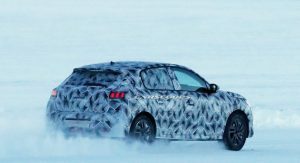 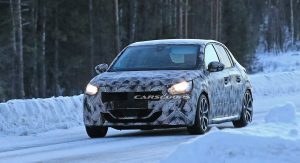 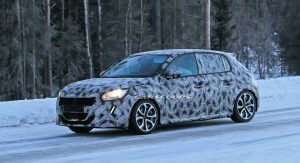 Spied during cold weather testing, the 2020 Peugeot 208 EV looks identical with previous ICE-powered prototypes. 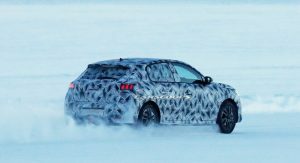 However, our photographers say it didn’t emit any noises as it drove. 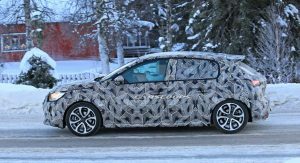 We’ll have to take their word for it because the dizzying camouflage is very effective at hiding the bodywork — including the charging port. 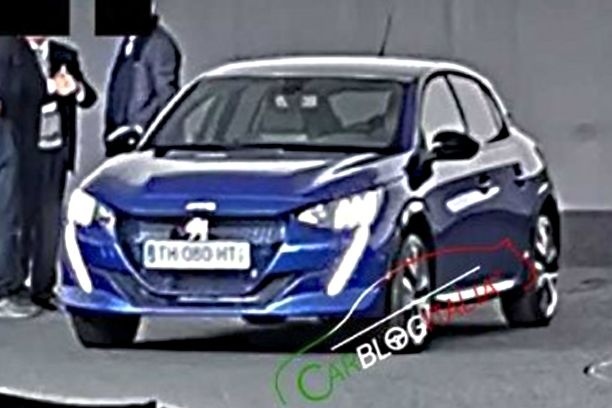 Another hint at this being an all-electric version is the lack of rear bumper cutouts for the tailpipes, although that’s not a very strong argument given that regular 2020 Peugeot 208 prototypes also lack visible exhausts. 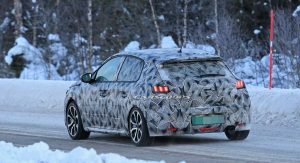 On the outside, it’s pretty clear that the all-new 208 draws inspiration from the larger 308 when it comes to the proportions as well as the Peugeot 508 with regard to the design of the headlights and taillights. 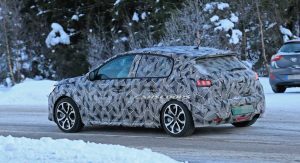 Inside, the next 208 will see a massive overhaul inspired by the latest Peugeots. 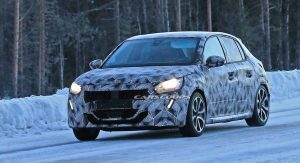 The supermini will get a tech influx consisting of new infotainment, connectivity, and driver assist systems — rumor has it the 208 will become one of the first small cars to offer semi-autonomous driving features. 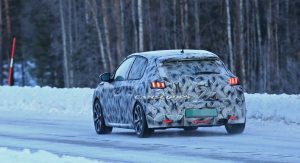 Much like the DS 3 Crossback small crossover and the upcoming Opel/Vauxhall Corsa, the second-generation Peugeot 208 will use PSA’s Common Modular Platform (CMP), including its e-CMP all-electric iteration. 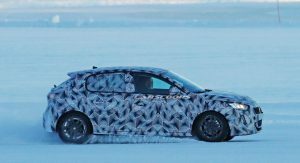 The benefits of switching to CMP architecture include better packaging and a roomier interior, as well as the possibility to accommodate a wider range of powertrains. 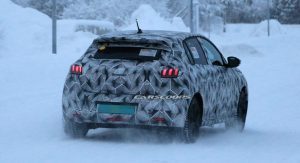 Since the 2020 Peugeot 208 has been designed from the outset to feature an electric motor, the EV will require minimal changes over ICE versions. 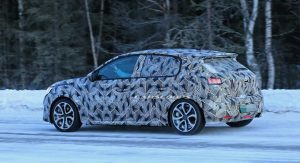 Most importantly, the battery pack won’t take up any additional space in the cabin. 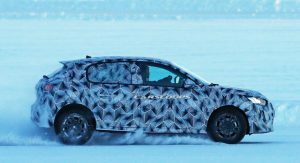 For now, Peugeot keeps specs under wraps but it is understood that the 208 EV will offer a driving range of over 300 km (186 miles) — just like the DS 3 Crossback E-Tense. 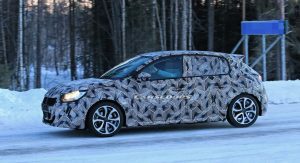 Expect the electric 208 to arrive shortly after the regular model, which will get the latest PureTech turbocharged gasoline units and BlueHDi turbo diesels. 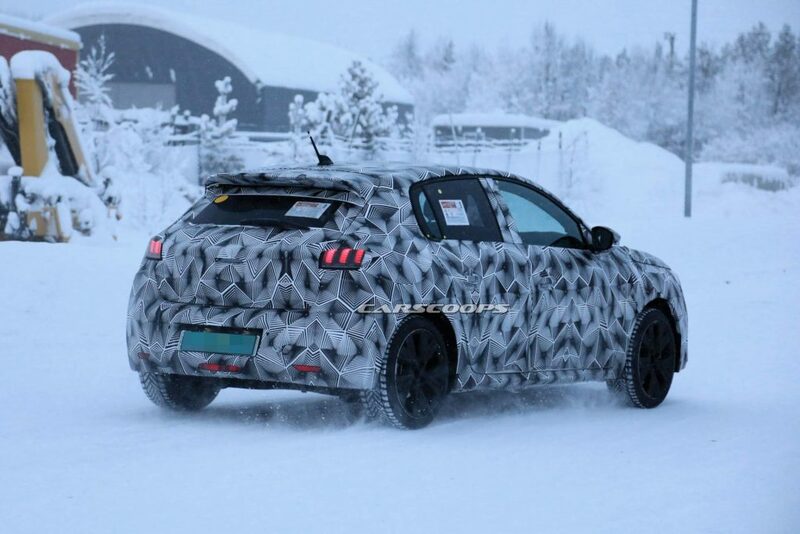 We already know it will look like a mini 308, which is deeply uninteresting. 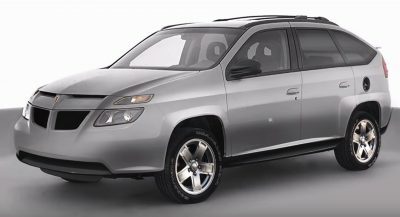 Quite accurate but not exactly like that. 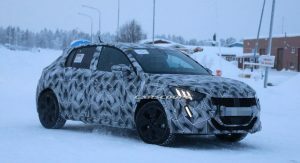 Thing ???? 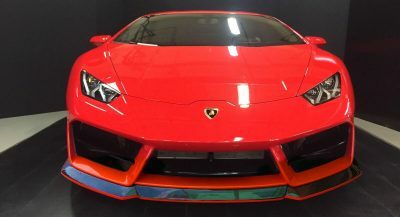 WOW WOW WOW !!!!!! I didn’t like the led strip in the new 508, I don’t like it here.